Crosscutting line for random parquet planks with Scanner and crosscut saw mod. OPTI 599. The OPTI 599 is a high-performance crosscut saw which can increase your productivity by up to 30% compared to traditional ones. Designed for use in high-production lines for heavy-duty non-stop operation, it employs a hardened steel helical toothed roller drive system incorporating a powerful brushless motor that guarantees a 300 mt./1’ feed speed. An automated crosscut saw used in sawmills for cutting large boards, even untrimmed. 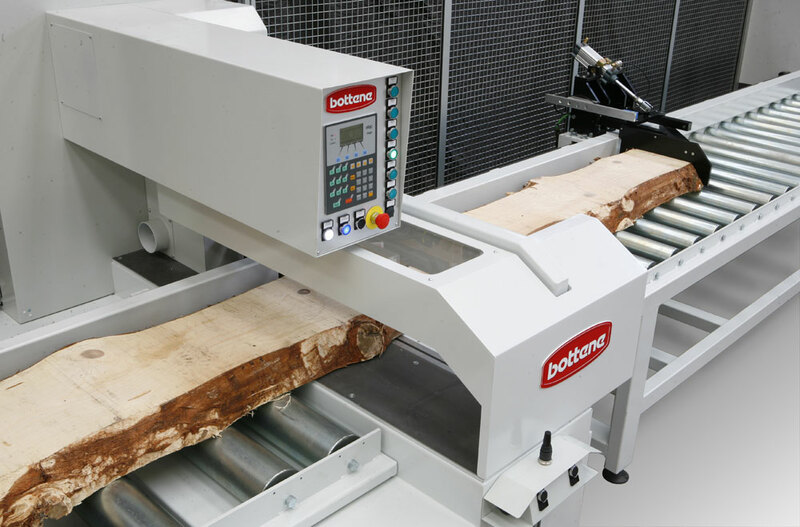 Because of its speed (200 mt./1′) and cutting capacity (150 x 800 mm) it is used in-line with log saws and multi-blade saws; it automatically detects the length and thickness of the boards and optimizes them. 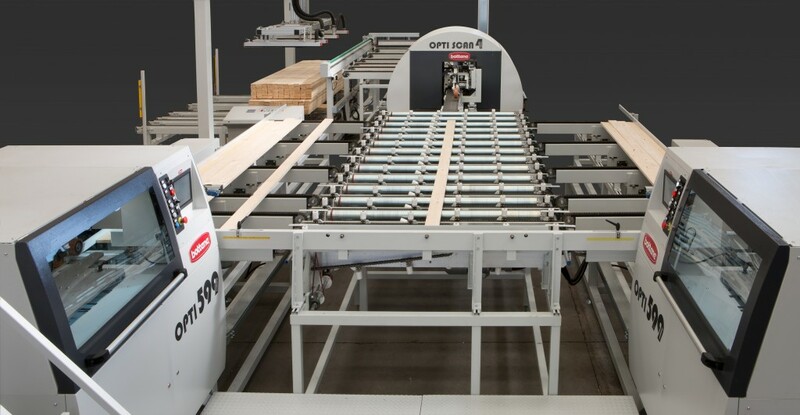 Optimizer-Crosscut saw with pushing system, versatile, precise and cheap. Positioning by precision rack ensures maximum precision and maintenance of lifetime performance without any deterioration and no maintenance. 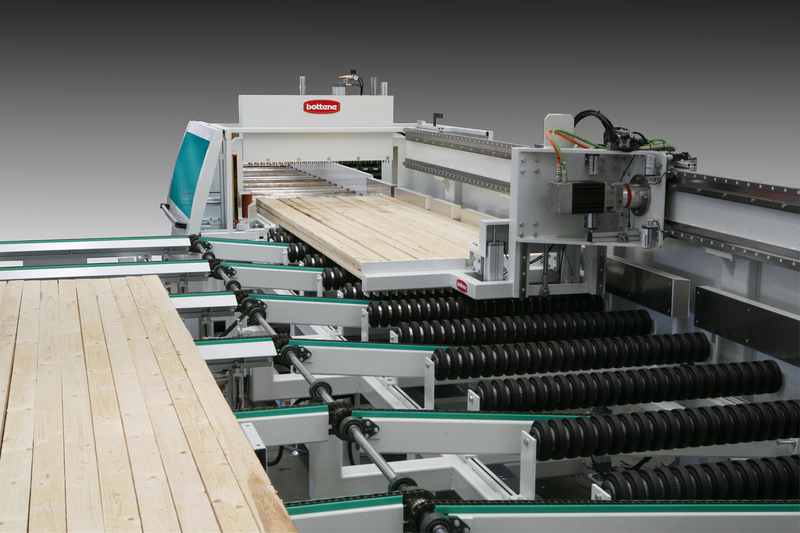 Optimizing Crosscut Saw, with pusher system, versatile, fast and precise. Positioning by means of a precision rack ensures high speed (300 mt./1′ for model PUSH 180S), precision and top performance levels for life, without any deterioration and need for maintenance. PUSH 180R has the same features and performance as other models with pusher system, making it possible to make +/-68° inclined cut. 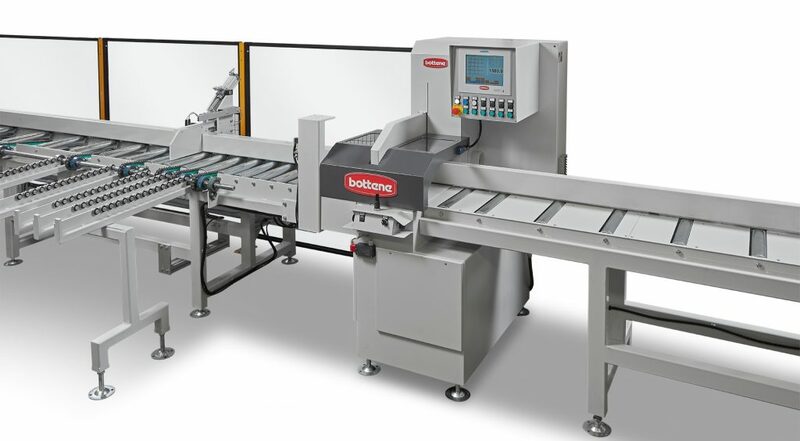 The PUSH 1200 is a completely automated cross-cutting line used mainly by producers of pallets or part-worked pieces for producing boards and small beams with a production capacity up to 200 m3 per shift. Series R Cross-Cut Saws are normally used in companies that produce part-worked pieces, packaging and door and window frames. Thanks to their structure and cutting capacity they are used in sawmills for working large boards or for insertion directly into the layout of lines with log cutters and multi-blade units.